While I have no particular desire to be controversial or confrontational, a recurring topic regarding sake’s foray into foreign markets has got me somewhat perplexed. As you may well already know (if you’ve found this site you probably do) sake exports are booming. While sales of sake in Japan are relatively sluggish, breweries have discovered the prosperous markets of Asia, USA, Europe and Oceania as being a new avenue to keeping their business alive. Of all sake produced, the lion’s share is still by far consumed domestically, however the lure of the foreign market has proven undeniable to many and is seen as one of the pillars of strength for the future of sake. So along with this movement comes the obvious question of how to approach the market and promote sake to a foreign audience. And this is where it gets murky. For many (including Japanese native speakers), the first hurdle to understanding sake is the vocabulary. Indeed, there are seemingly an endless amount of words one must learn in order to understand and appreciate sake. A bit of a caveat; yes, I can speak and read Japanese quite well and have some seventeen years of experience with the culture and language so I may have a head start on most but I still believe anyone can learn sake jargon if they have a few minutes to spare and the motivation. I’m so lazy I’m not even going to count them, but I’m going to throw it out there and say there are about twenty (at the most!) new words you will need to learn in order to understand the basics of nihonshu. This doesn’t include the names of brands nor the myriad of rice varieties. Aren’t there more than twenty? Of course there are but I’m talking about the basics of understanding what’s in the bottle and on the label. Twenty words really isn’t a lot. Sit down for a weekend and read a book on sake or by all means take a browse of the sake basics link on this site. That is really all the average drinker needs to know to order a glass of sake with some relative confidence in a restaurant. If you want to be an expert it will of course take a little more than that but for the 99% of folks who have a passing interest or just want to expand their drinking repertoire beyond wine and spirits this is plenty of information. I can say from experience that if you were to try and get your head around old world wines from France, Italy, Spain or Germany by comparison sake jargon and labeling is quite easy to understand and pretty straight forward. Which brings us to the next hurdle of understanding sake, the names. This is an interesting phenomena where for some reason there is this faction of consumers, retailers, sommeliers and producers themselves who believe that the names of sake makers need to be translated into English in order for foreigners to appreciate the sake in the bottle. I have written before on the common kanji used in sake brands and their meaning and am guilty of occasionally direct translating names when the translation is simple enough. It can be fun and definitely interesting but by no means do I believe it is necessary. A non-Japanese speaking American recently remarked to me that the names of sake brands have no meaning or resonance with him. In reply I say, walk into your local liquor shop and have a look around. Do you know what Stolichnaya means? Krug? Bourgogne aligoté Bouzeron? Tanqueray? Laphraoig? No? Or perhaps some Australian winery names will make more sense, Wirra Wirra? Torbreck? Toolangi? Still nothing? I am being a little facetious but my point is these names despite being made up of the English alphabet have no meaning whatsoever in and of themselves to most people outside of being the name on a label of booze. Therefore why is it that a Japanese label such as Rihaku seemingly requires a translation in order to connect with its market? Is it really any harder to pronounce than any of the other names listed above? Is it merely a refelction of current society’s short attention span that if the product is not instantly recognizable it will be forgotten? Some may argue that it is merely smart business strategy on the part of the brewery in taking a short-cut into the consumers’ consciousness by giving them an English name to grasp onto as in the above case, marketing Rihaku as “Wandering Poet”. Not a direct translation as such by the way; Rihaku doesn’t actually mean wandering poet, it is the name of the poet referenced in the English label. However by promoting sake under these pseudonyms it further perpetuates the idea that sake is something that cannot be easily understood by westerners, that it’s something that requires translation on every level. This is simply untrue and honestly, a lazy excuse to not explain the sake and its provenance. Bear in mind I am not referring to the romanized English labels. Of course non-Japanese (and many Japanese themselves) cannot read the characters/kanji on the sake labels so to write them in roman English for the foreign market is common sense but it’s the sometimes nonsensical translations and in some cases the complete re-labeling for the foreign market which I struggle to comprehend. The side-effect of this movement toward English translated labels is the creation of a split market. To approach the domestic and foreign markets as completely separate from each other may not be a terrible idea however it falters in the inability to cross-over. A drinker who has paid their dues educating their palate with such sake as Black Dragon, Roots of Innocence, Dragon Shaped Plum Trees or Otter Festival may be surprised to find these sake seemingly unavailable in Japan by those names. Likewise, I have been in the reverse situation and been unable to make head or tail of a sake list in a restaurant back home in Australia because the list consisted of forced English translations when the Japanese name would’ve often been shorter and simpler to remember. As I said before the story behind the name of a sake can be interesting and it can be fun to translate the names into English when a direct translation is possible but it shouldn’t be considered something necessary in order to break into the English speaking market. Finally the other reason the forced translated names irks me is simple; it’s lazy. Even in 2017 there is still an underlying feeling in Japanese society that local customs and culture are impossible for a foreigner to grasp or understand. Make no mistake, some things in Japan are downright weird but food and drink is a fairly universal concept and clearly something that people are interested in. However some producers and exporters/importers can’t be bothered explaining to the customer what their product is and what it’s about so they opt for re-labeling their sake with an awkward translation that ends up sounding like a bad Bruce Lee film title in hope customers will pick up their sake based on familiarity. 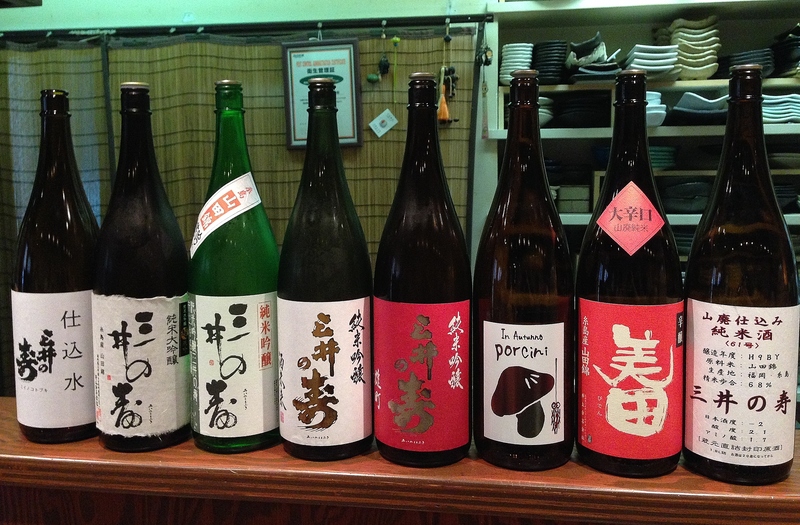 Furthermore, given the high quality of sake being exported these days it’s not unfair to expect sommeliers, bartenders, retailers and importers to dedicate a decent amount of time to learning about sake as well….including the names. “What’s your favourite sake?” is a question I get asked all too often. While I’ll usually deflect it with, “it depends on the food, mood and season”, some folks can be particularly persistent. Recently, while having this well worn conversation with a fellow sake enthusiast the question was put to me in a different way. “Well, which breweries’ sake do you buy or drink the most often?” he enquired. That actually got me thinking and I realized I could answer that one quite easily. Kid. Surrounded by mountains in Kainan City, Wakayama prefecture Heiwa Shuzo have only been brewing Kido (also known simply as Kid) for a few years. The brewery itself has been around for much longer and was in fact originally a temple but underwent a couple of rebirths, the first being in 1952 when they renamed to Heiwa Shuzo as a nod to the end of World War Two (Heiwa meaning “peace”). The second came about ten years ago when fourth generation Norimasa Yamamoto returned to the family brewery with a passion and a vision for bringing sake into the new world. 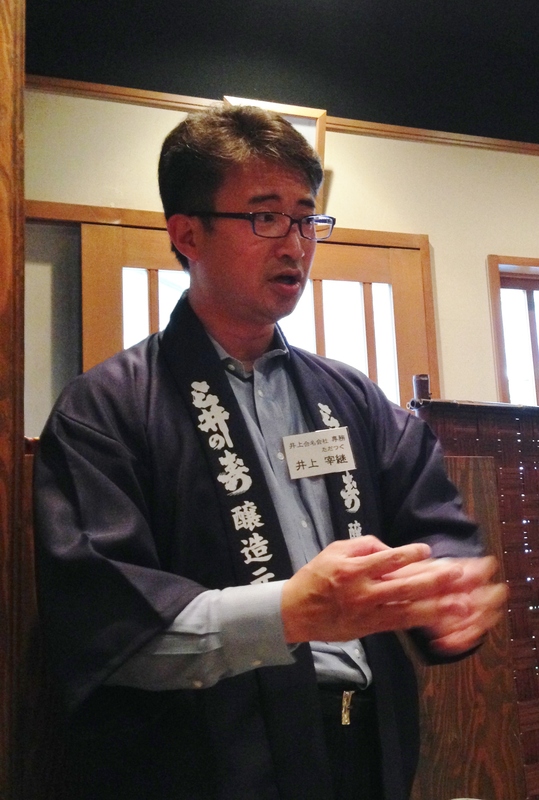 Being aware of his position as a the likely successor to the family brewery Yamamoto-san graduated from Kyoto University with a degree in economics. After dabbling in a human resources venture, Yamamoto-san returned to the family brewery. At the time Heiwa Shuzo’s sake production consisted almost entirely of carton sake, the cheap stuff, mostly brewing for other breweries. Having developed a palate for nihonshu in his time away from home, Yamamoto-san was disappointed to find that the family sake wasn’t particularly tasty. After some investigation, he found the cause of the off flavors stemmed from the mold-ridden walls and ceiling of the brewery, a by product of the high humidity of the area. 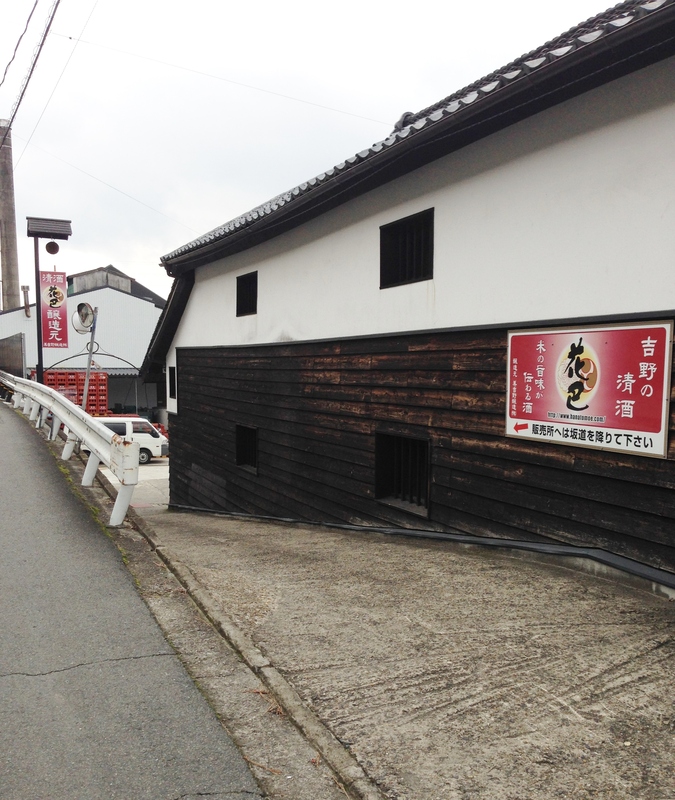 If the family brewery was to make a comeback the only way was to repaint the entire brewery interior with an anti-bacterial coating (kakishibu). This dedication to cleanliness and sanitation is still a high priority with thorough cleaning a big part of the day to day at Heiwa Shuzo. Upon visiting the brewery my first impression immediately was that of the cleanest brewery I had ever seen. No tools lying around, no clutter, all business. The birth of the Kido name comes from combing the Kishu 紀州 name of the area with fudo 風土(environment or topography) into Kido 紀土 which also provides the wordplay “Kid” identifying the brand and brewery as young up and comers. Yamamoto-san is one of those inspiring people that makes you feel terribly lazy. In fact the first time I met him was at a sake event in Osaka that he appeared at after running the Tokyo marathon that morning, catching the 2 hour shinkansen to Osaka and then driving home a couple of hours to Wakayama after the event! Amidst his busy schedule at the brewery and relentless promoting on the road in the off-season he even managed to write a book on the current possibilities in the nihonshu production industry and has also seen the brewery expand into the ever growing craft beer market with great results. This guy has energy to burn! Yamamoto-san’s MO is all about bringing young people back to nihonshu and his approach and presence in the industry has shown he means business. He has been instrumental in the highly popular Dawn of the Young Brewers (Wakate no Yoake) sake event which has been held in Tokyo for the last couple of years and is starting to branch out into other areas and is also a leader in giving sake a strong social media platform. But of all course all of this means nothing if the sake aint good right? Well, rest assured, it’s brilliant. Like I said I probably drink Kid more than anything else. Around the time Yamamoto-san returned to the family business and started shaking things up he lost some employees. In an all too familiar tale, some old hands struggle to get behind new visions so it was around this time brewery worker Shibata-san stepped up to become Toji. Another interesting approach Yamamoto-san took was to delegate certain tasks to each kurabito. Instead of having the toji running around micro-managing every step of the brewing process he figured it would inspire initiative and a sense of responsibility to charge each brewery worker with a specific task that they see over and are held accountable for. These days the eight kurabito (brewery workers) at Heiwa Shuzo are relatively young with most (besides Shibata-san and Yamamoto-san) if not all under 35 years old. With Shibata-san at the helm and Yamamoto-san in a “producer” type role, Heiwa Shuzo has been tremendously successful in realizing Yamamto-san’s goal of showcasing the soft, clean water of Wakayama in a vibrant, attractive nihonshu package. 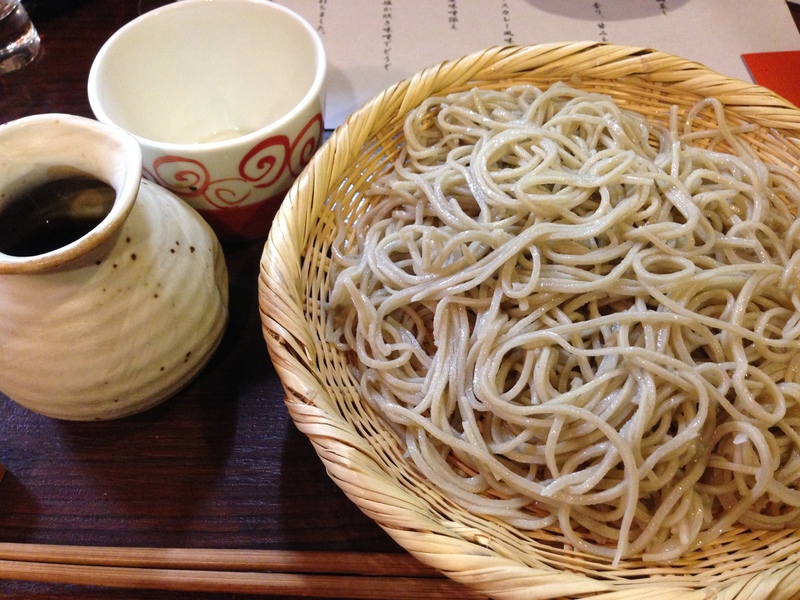 To further strengthen the Wakayama character of their sake Heiwa Shuzo also uses a large amount of Yamadanishiki rice that they harvest themselves. This is showcased most readily in their Agara no Ta de Sodateta (grown in our own field) seasonal offering made with wholly with their own grown Yamadanishiki milled to just 80%. The common thread throughout the Kid range is a tasteful balance of fruity esters leading to a soft and clean mouth feel with refreshing acid and character all tailed off with a remarkable moreish quality that constantly draws you back for sip after sip without being cloying or remotely boring. Across the whole range from their humble but outstanding value for money junmai to their gorgeously fragrant and clean daiginjo, Kid is the kind of sake you can drink everyday without tiring. Heiwa Shuzo is one of the most exciting breweries around at the moment and Kid is certainly one of the names to look out for in the new breed of sake brewers for the new world and with their sake finding its way overseas I’m sure they’ll find a market equally as welcoming as their following in Japan. For a while now Yamaguchi brewery Asahi Shuzo, makers of Dassai, have been the sake industry’s favourite underdog story. Since Hiroshi Sakurai took over the reigns of the family business in 1984 Asahi Shuzo has risen from a very modest output of 700 koku to the current 12,000 koku. All production being made up of junmai daiginjo exclusively. Put simply, in an industry where breweries are closing every year this kind of growth is unheard of. Early on Sakurai-san realized the potential for the overseas market and pushed hard to get Dassai into fine dining restaurants in Paris, London and New York with great success. Recently used in a toast at a White House dinner with President Obama and Prime Minister Abe added some serious clout to an already strong image. Closer to home Dassai has succeeded in gaining a place on many Michelin-stared restaurant lists in Tokyo and recently further promoted their high-end image with a Dassai dedicated bar opening in the uber-chic area of Ginza in Tokyo. 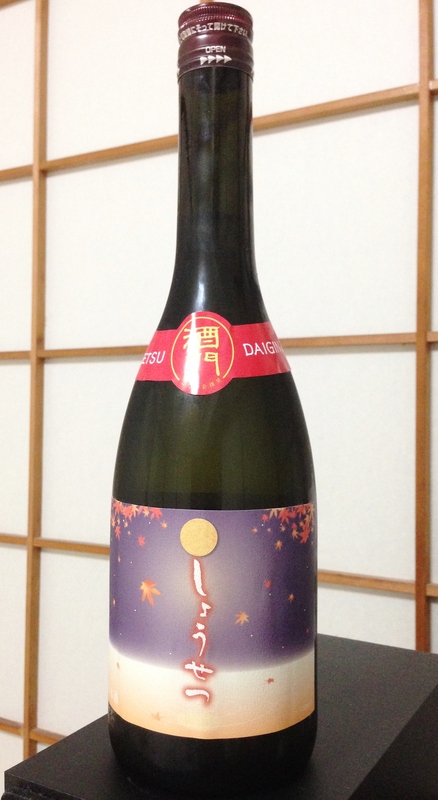 The portfolio has also seen the introduction of one of the pinnacles of sake decadence with the release of Dassai Beyond. 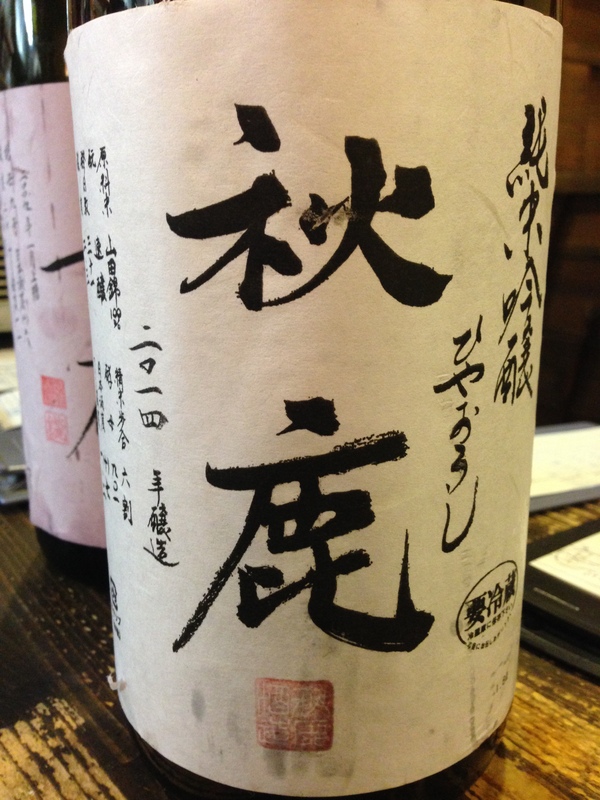 A sake whose production methods are shrouded in secrecy but still commands the daunting price tag of 30,000 yen plus locally or upwards of $500 in overseas markets. So the obvious question is: what’s next for Dassai? Well, for starters construction on a new brewery means an increase in output. 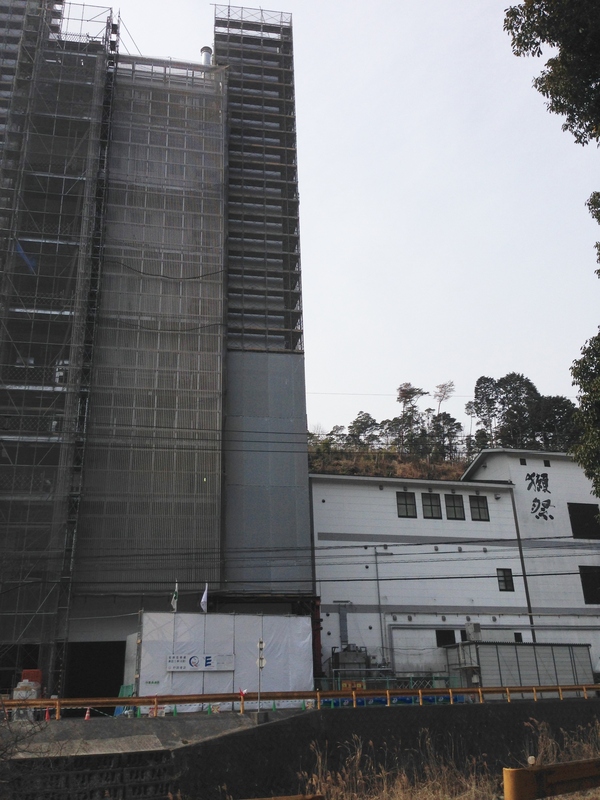 When I visited the brewery in Yamaguchi a short while ago the undergoing construction work was nothing short of staggering. Indeed Sakurai-san is looking to increase production five-fold to 50,000 koku in the coming years. 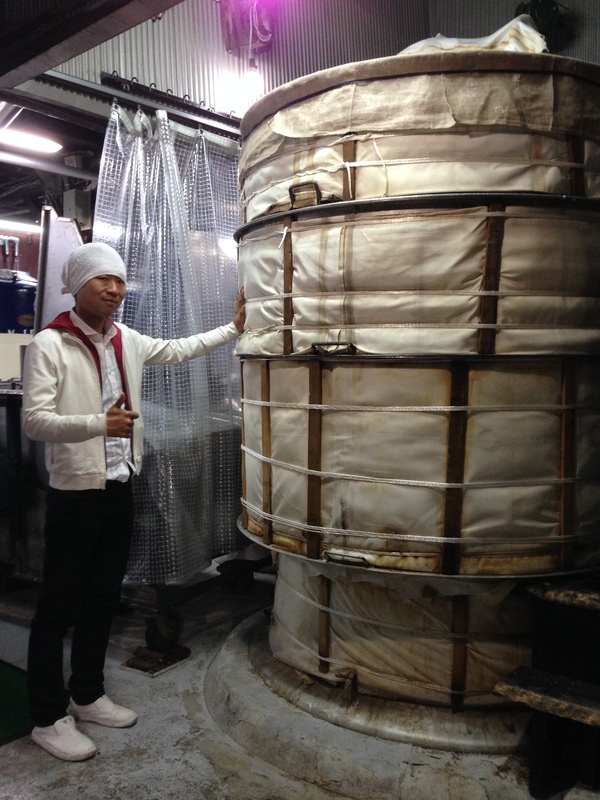 For a brewery that produces only junmai daiginjo that’s a huge undertaking. But are Dassai putting all their eggs in one basket? Do they risk becoming a one-trick pony? Some would argue they already are. While a few years ago Dassai were seen as the darling of sake connoisseurs, these days there are many consumers who feel Dassai has little more to offer. When the trend for low seimaibuai (rice milling) and wild yeasts and throwbacks to old production styles such as yamahai, kimoto and bodaimoto is becoming increasingly popular, where does that leave Dassai and their sixteen(!) rice milling machines? As more breweries become more environmentally aware entering into organics and environmentally friendly practices, how does that reflect on Dassai’s rather extravagant use of new (non-recycled) bottles only? 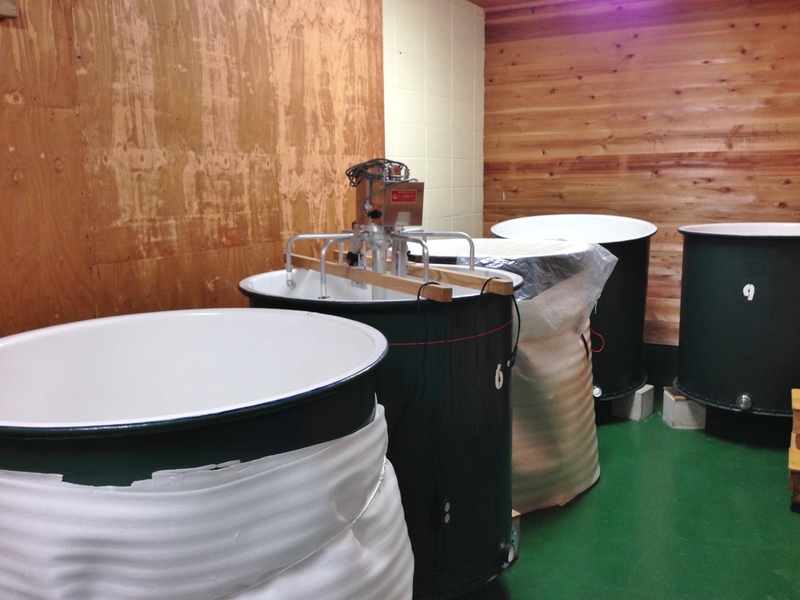 When the trend for unfiltered sake is making a strong comeback where does that leave Dassai and their state-of-the-art centrifugal filtering system? They’re questions worth asking because as the audience for sake grows wider overseas as well as domestically there will be those that will start to look for something more than just junmai daiginjo. Sure Dassai have their sparkling, an aged sake, limited unpasteurized releases and a version of their 50 designed to be drunk warmed but it’s still a somewhat limited portfolio. But then it could be further genius on the part of Sakurai-san as they become viewed as more of a Champagne house that specializes in a specific style, one that demands a little pizzazz and a touch of extravagance. But still if that’s the case the other niggling factor will be quality. On my visit to the Dassai brewery I was fortunate enough to try a glass of Dassai Beyond as well as their Tameshi (test) sake. Again, the production involved in the creation of the Tameshi was vague but it was interesting to see that there are new things on the horizon. However, to be honest while both were fine sake in the Dassai mold neither the Beyond nor the Tameshi filled me with excitement of a future of new things from Dassai. The Beyond, while a smart and classy sake is clearly priced according to the production costs rather than a reflection of the taste. Made with the best rice money can buy and brewed under the computerized (and human) eye of bank-breaking technology, what clearly lacked was a sense of character or place. While an approach similar to Champagne houses may seem like a good idea in theory the other thing not to forget is Dassai are not the only brewery making junmai daiginjo using yamada-nishiki rice. Far from it, just about every brewery has a shot at it. And while most don’t go as far as Dassai when it comes to milling rice to extreme levels, many come just as close and then some, in terms of quality – often at a fraction of the cost. With a target of increasing production to 50,000 koku it would be understandable if Dassai were to dispose of their “junmai daiginjo only” policy and head into the cost-effective arena of regular junmai, ginjo or table sake. Already there are farmers struggling to keep up with Dassai’s rice quota. A Dassai sake with a seimaibuai of 80% for example would be a very interesting counterpoint to the rest of their portfolio but alas I fear such sake is not on the agenda. 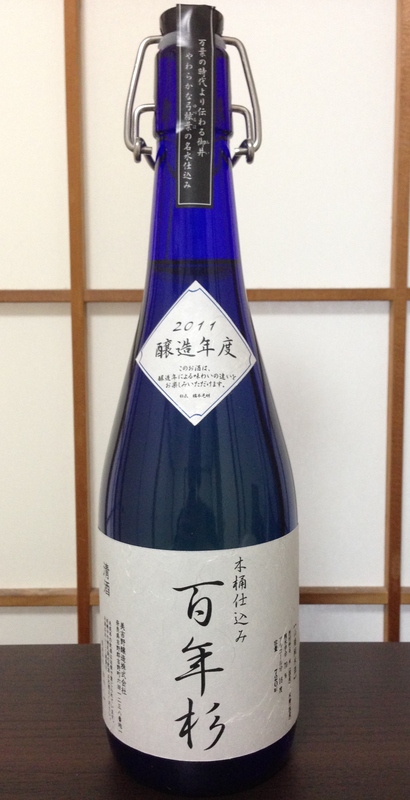 Besides the Tameshi, a couple of other notable releases have been their Togai (made with rice that hasn’t undergone the required quality inspections that qualify a sake to be labelled as special designation tokuteimeishoshu, in this case junmai daiginjo) however although the shirking of the special designation labeling is new ground for Dassai the production policies ie. using rice milled to daiginjo levels in a junmai process remain intact. Wine and beer markets have always been subject to change in trends. Heavily oaked, malolactic rich chardonnays of the eighties have been shunned for lean styles with malo and oak used sparingly and rosé wine is no longer considered a girl’s drink. The big beer breweries have finally cottoned on to the craft beer juggernaut (which undergoes all sorts of trends within itself, see the rise and fall of heavily hopped IPAs as a case in point) and are adjusting their beers and marketing accordingly. In the sake world ginjo only became a thing some thirty years ago. Yamahai styles, low milling styles, natural brewing methods are making comebacks and breweries are adapting. At some point Dassai is going to have to as well. Junmai daiginjo will always have a place, but whether it’s a place that can sustain or warrant a five-fold increase in production is yet to be seen. But no doubt it’ll be a challenge Sakurai-san and his team will tackle with the optimism and tenacity that have brought Dassai this far. To say Osakans are a proud bunch would be quite the understatement. Osaka is Japan’s second largest city and is home to Japan’s best comedians, loudest people, most obsessive baseball fans and many would say best food. If Tokyo is the face of Japan, Kyoto is the soul and Osaka is the heart. Although in many areas Osaka doesn’t really compare to its larger more cosmopolitan sibling, it has an undeniable charm and bravado that wins the hearts of many visitors to Japan and is often the envy of other Japanese cities. Having lived in Osaka on and off for fifteen years I can testify that it is indeed this charm that has kept me from straying to other areas of Japan. When it comes to sake too, Osakans are fiercely loyal. 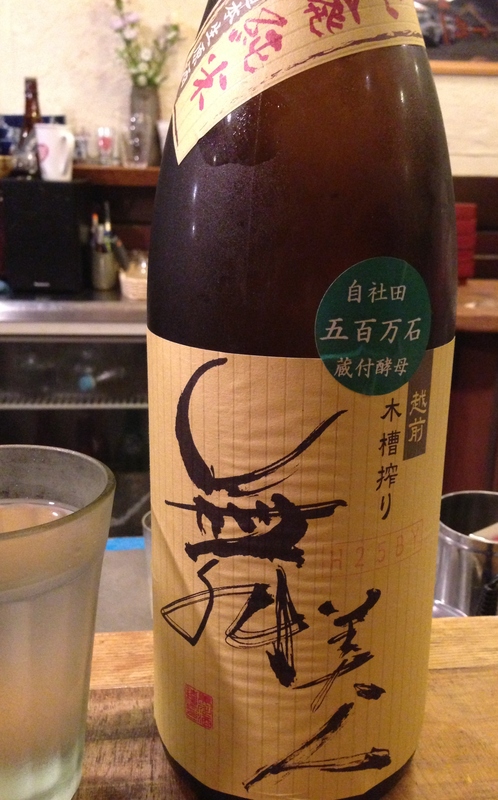 Ask anyone in Osaka about local sake and you’ll usually get one of two replies: Goshun or Akishika. Goshun is the stalwart found in almost every tachinomi, izakaya and bar around town. Working man’s sake made old school for the old school. But Akishika is the young up and comer (with 130 years experience) gracing the bars of any self respecting sake dedicated venue in town, and their popularity stretches well beyond Osaka and Kansai. 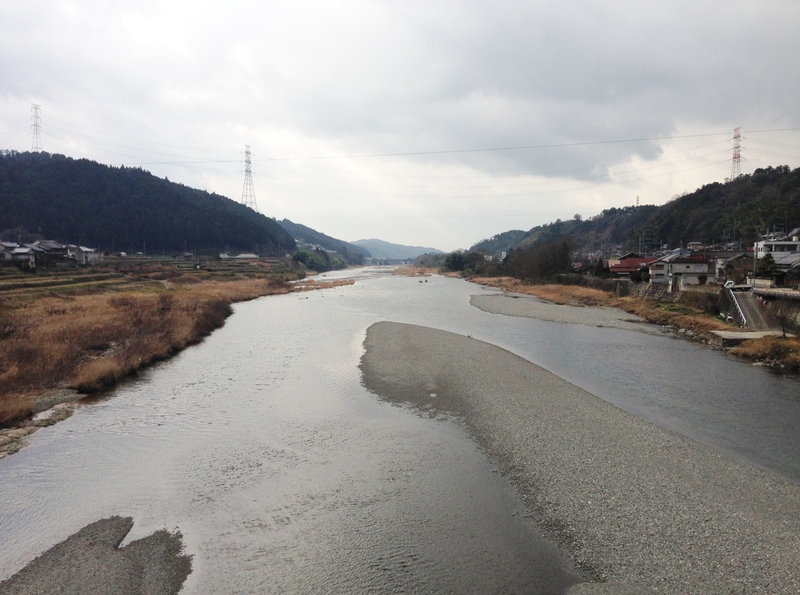 Located in Osaka in the Nose (no-seh) area of Northern Osaka only just inside the prefectural borders, Akishika have built themselves something of a reputation for doing things their own way. They grow a lot of their own rice organically (including the only Omachi fields in Osaka, a notoriously difficult rice usually found mostly in Okayama), steer clear of fine filtering and are one of only a handful of breweries to produce only junmai sake. President/toji Oku-san sees Akishika as more than a sake producer, for him being a rice grower and a sake brewery are one in the same with one no more or less important than the other. In fact originally known as Okushika the Oku family were rice farmers who made a bit of sake on the side with their product. This would help to explain Oku-san’s approach of not interfering with the rice and keeping human intervention to a minimum throughout the whole “grain to bottle” process by not doing anything unnecessary While most breweries strive for consistency in flavor profile year in and out Oku-san appreciates that every year’s rice harvest is different and they aren’t afraid to tweak their production methods to work in harmony with the condition of the rice rather than fight and manipulate it to maintain the same character as previous years. 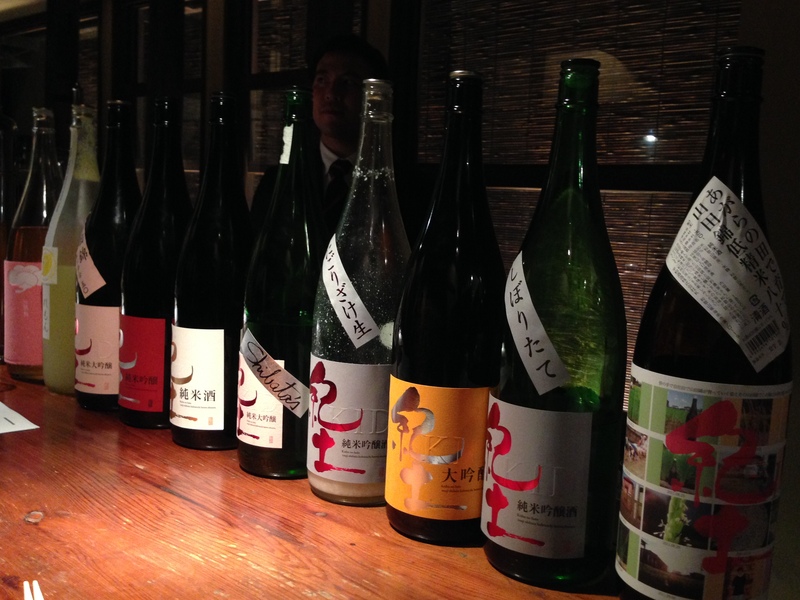 While they haven’t exactly embraced the idea of vintages as used in the wine world they are comfortable with the concept of variance in their sake from year to year. 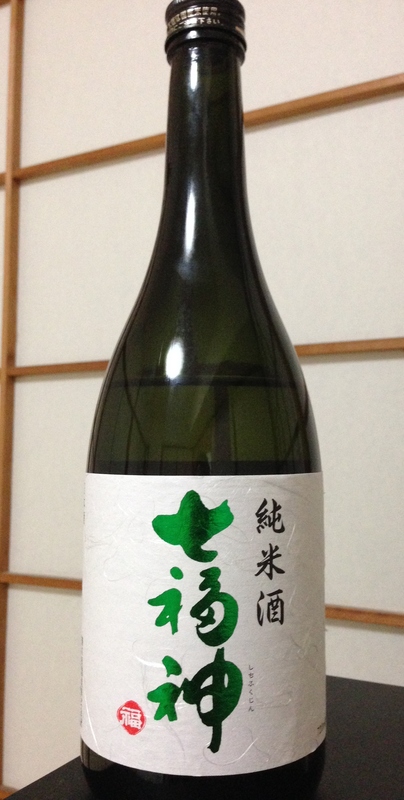 Having said that there are definite consistent traits seen in Akishika sake regardless of the rice harvest. Known and loved for their low-aromatics, high acid, punchy sake, Akishika is what would normally be described as food friendly sake. Cheese and other fermented, umami-rich foods like natto and miso laden foods work particularly well. Despite their popularity with the sake geek crowd however they are still quite a small brewery producing just under 1000 koku (180,000 litres) leaving precious little to get beyond the borders of Kansai. Fortunately for the locals a bit of Akishika is never hard to come by so I recently enjoyed a selected line up at a local soba restaurant where Kotaro Oku-san (the president/toji’s son) was kind enough to give a guided tour of Akishika’s flavours and range. The two year aged junmai daiginjo (less than 400 bottles produced) in their now obsolete retro labeling was an interesting representation of the mellowing aging effects on a more delicate sake. Although it retained the light body and had arguably developed some interesting complexity in the honeyed aromas and nutty profile I couldn’t help but wish I could have tried it fresher. 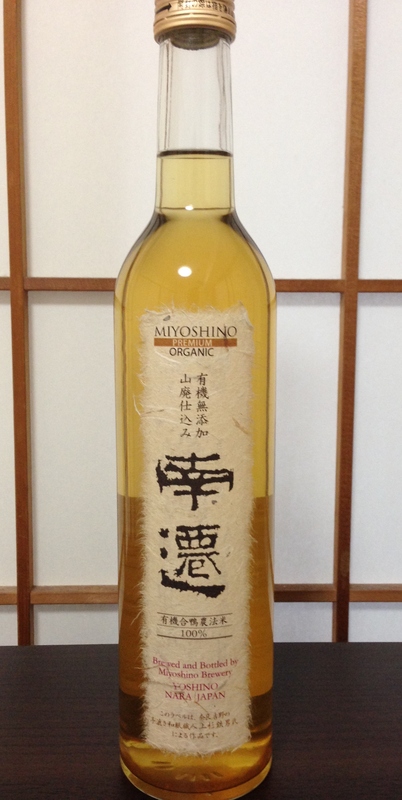 The current release Hiyaoroshi was a textbook example of Akishika acidity backed with peppery finishing notes and lead with a mild aroma of melon and herbs. Likewise the 80% milled junmai was a fantastic showing of their home-grown organic yamadanishiki. Showing almost no aromas the palate was rich, full and broad and worked wonderfully slightly warmed above room temperature revealing the chewy rice flavours. The kimoto junmai made again with their own omachi rice was bursting with koji aromas of chestnut, no real fruity aromas and the trademark zippy acidity and a slight sweetness. One of their more visible brews, their junmai ginjo genshu with its distinctive cartoon label is again a classic example of what the Akishika fans want. Grainy rice mouth feel balanced with an assertive, lip-smacking acid profile. Clean aromas but not overtly ginjo-esque. 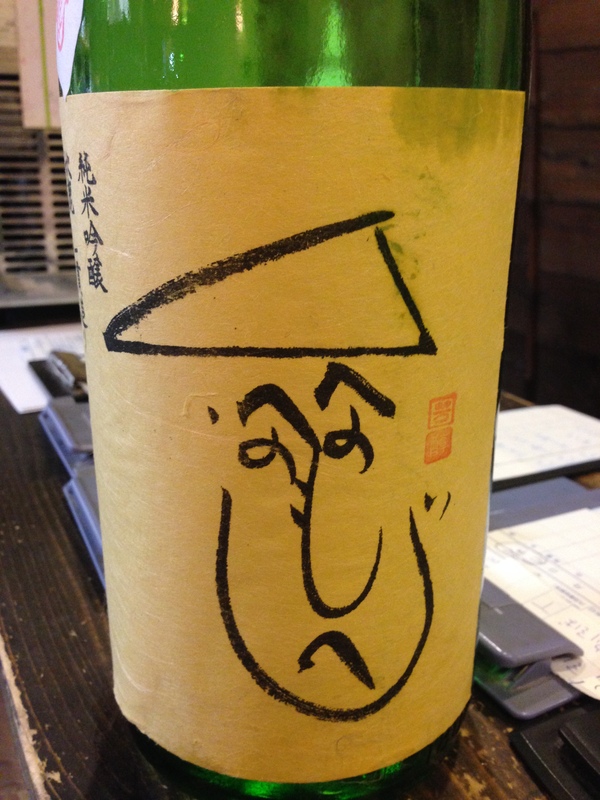 Incidentally, the cartoon label also appears on other Akishika labels as an ink stamp indicating the sake was made using their own-grown rice. An exciting brewery finely balancing the line of keeping up with a modern market while maintaining an old-school approach and work ethic. 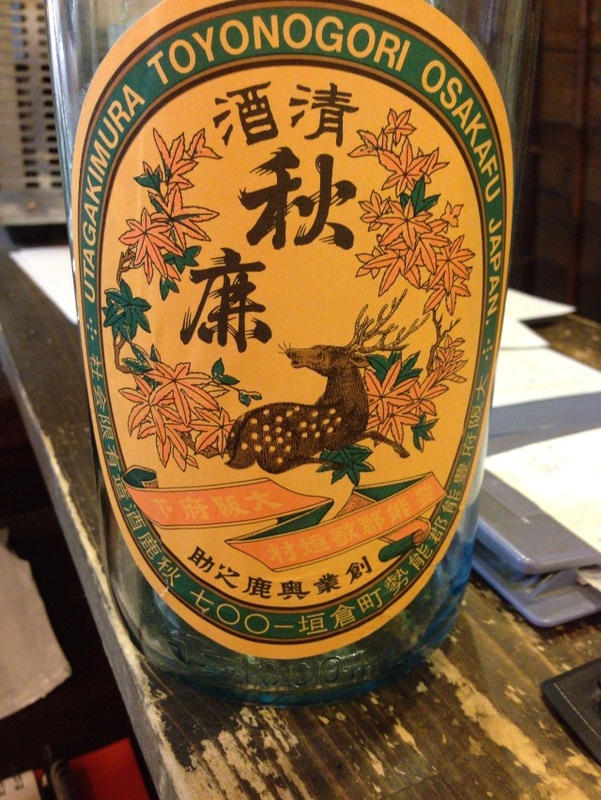 Worth keeping an eye out for them in anywhere around Kansai or waving the Osakan flag anywhere serious sake is found. We all know what junmai means right? “Pure rice” sake. Sake made with rice, water and koji and no added alcohol or any other additions. “Sake in its purest form” was another definition on a supplier site. Sounds about right? Well, I got to thinking after having a slightly heated disagreement with a fellow drinker who insisted on trashing any sake that wasn’t junmai. First of all I want to go on the record that I love junmai sake as much as anyone else and the vast majority of sake I drink is in fact junmai. What I struggle with is the uninformed derision cast against aruten sake. To recap, aruten is short for arukooru (alcohol) tenka (addition), sake where alcohol is added before the pressing stage to dissolve some of the left over fermentables and draw out a more aromatic, lighter sake (and in the case of cheap pack sake and some futsu-shu added in larger quantities to increase yields). Futsu-shu, honjozo and tokubetsu honjozo, ginjo and daiginjo fall into this category. The reason I bring this topic up is because as sake reaches a larger audience I am seeing more and more articles, interviews with wine sommeliers, restaurateurs and suppliers spouting that junmai is the pinnacle of sake because it is the “pure” sake, giving the impression that aruten has been tarnished with its alcohol addition. But something tells me junmai has a skeleton lurking in its closet. Purely for the sake of argument let’s look at the brewing method for most sake, junmai and otherwise. After rice is milled, washed, soaked, steamed and koji has been made, rice is added to a small tank along with the koji, water and lactic acid to get the fermentation party started. Wait. Go back. Lactic acid is added? Unless it’s a yamahai or kimoto, yes. Why? Well because without lactic acid to speed up the process of killing off bacteria and unwanted nitric acids and wild airborne yeasts you would more or less end up with a yamahai sake or possibly a contaminated sake. 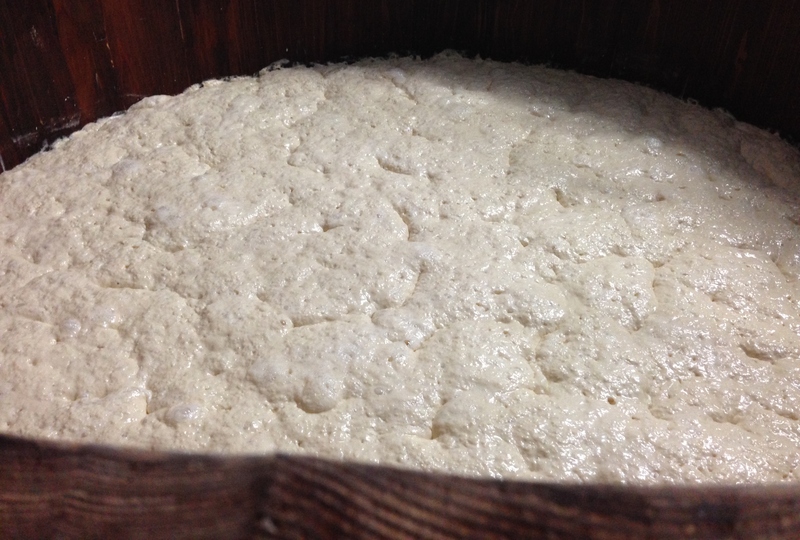 The lactic acid addition (known as the sokujo method) also helps things move quicker, cutting the fermentation time in half to around two weeks instead of a month. Well, that seems fair enough then. So lactic acid is added in most junmai (and non-junmai) to achieve a particular cleaner flavor profile desired by the brewer. Similarly a brewer may add a little distilled alcohol to a sake before pressing to draw out aromas and achieve a desired aromatic flavor profile. “No!” cried my fellow drinker, “it’s not the same. They have to add the lactic acid! It’s not a financially motivated process”. Firstly, no they don’t. Brewers choose to add the lactic acid. All brewers are more than welcome to make yamahai and kimoto style sake with no lactic acid addition or cultured yeast for that matter if they choose. Many do. It comes down to what the brewer is aiming for. If the brewer doesn’t want the sweetness, funky aromas and acid of a kimoto style sake he/she adds lactic acid to the moto. 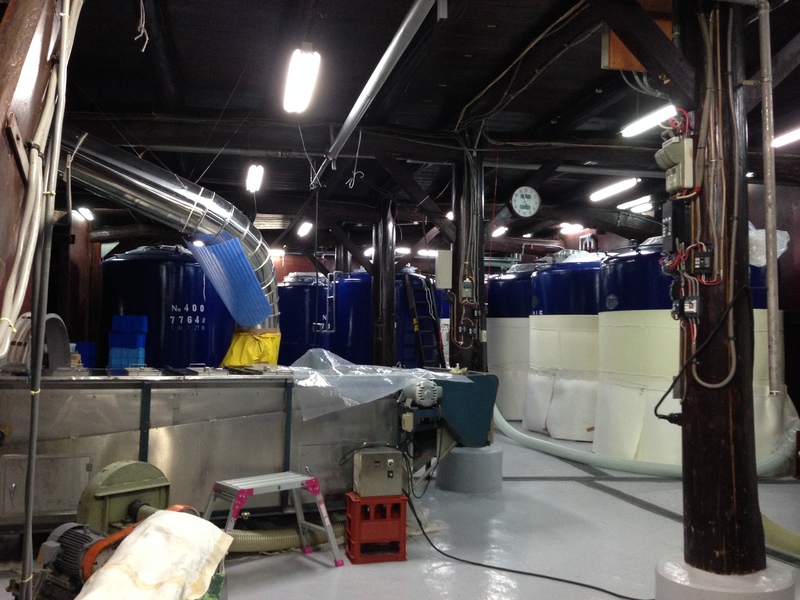 Secondly, considering the lactic acid addition speeds up the whole process thus freeing up tank space to produce more sake it could be argued that making sake in this method is in fact financially wise and good business practice. Of course I’m playing devil’s advocate here. 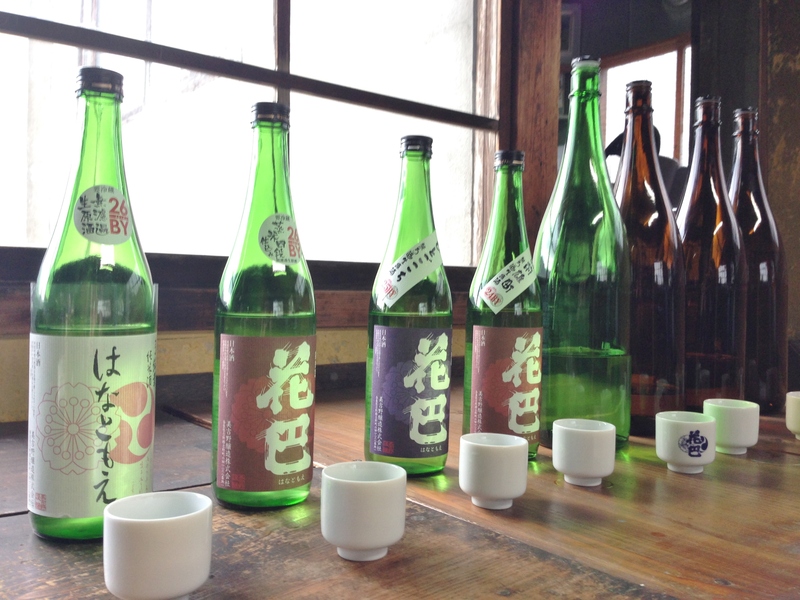 The sokujo method is in the rules and is a totally valid method of sake production. In fact it’s standard. Similarly, adding small amounts of distilled alcohol to a sake to draw out aromas or lighten body is in the rules as an accepted and recognized method available to brewers if they choose. Can you taste the lactic acid? Of course not. But you can taste the difference in what was achieved by adding the lactic acid as opposed to not adding it. The same way you cannot taste the added alcohol in a tokubetsu honjozo but you can taste (or smell) the result achieved by adding the alcohol. If someone prefers the taste of junmai sake over honjozo varieties of course that’s fine I don’t believe everybody has to drink honjozo. However I do believe little is achieved by bad-mouthing a perfectly valid, recognized technique for brewing, a technique for that matter that essentially keeps the entire industry afloat as well as produces some particularly fine sake. So by my understanding, if you really want to talk about natural, unadulterated sake in its purest form with no additions or ingredients other than koji, rice and water, the sake by definition should be a kimoto or yamahai made with natural occurring airborne yeast. 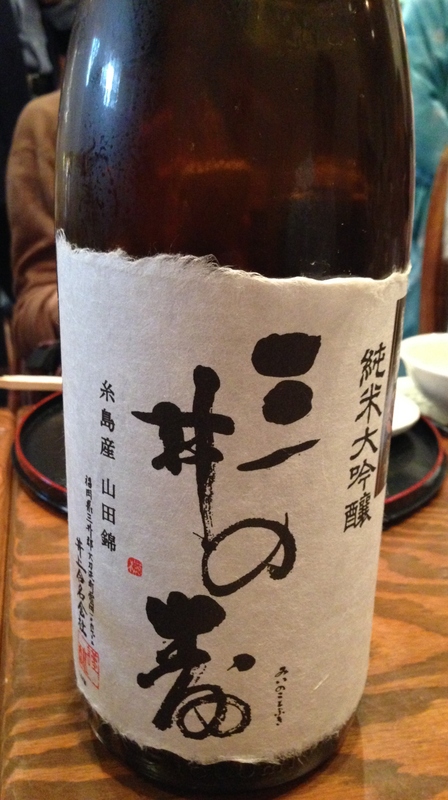 Don’t get me wrong, I’m not saying that this style of sake is the best, merely that it fits the true description of what many people describe junmai sake as being. Which brings us to the amazing Maibijin 舞美人 from Fukui and their junmai yamahai unfiltered, undiluted unpasteurized made with wild yeast and their own grown gohyakumangoku rice. About as hands off as you get when it comes to sake making! 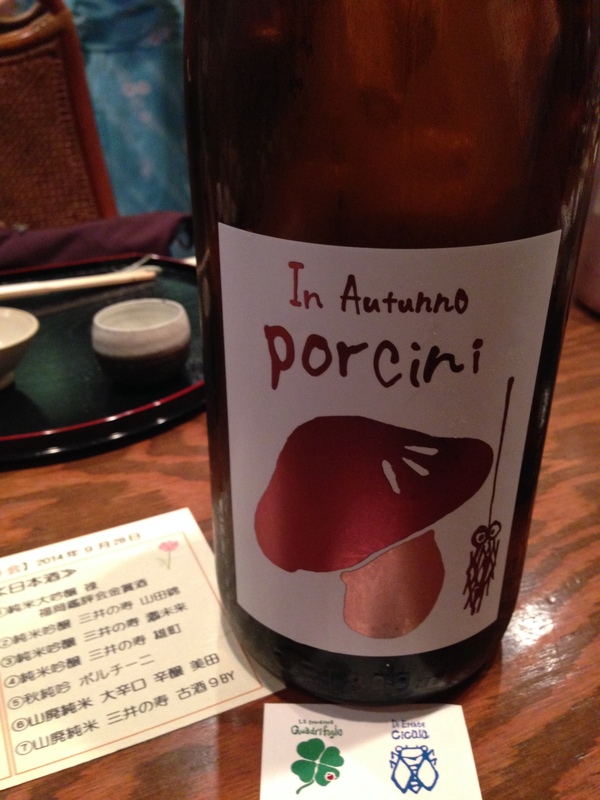 While this is the first time Maibijin have attempted this sake they hit the mark beautifully. An impossibly complex brew with a powerful punch of basil, licorice and banana that smells much better than that sounds! Rich chestnut-like koji aromas lead into a slightly puckering acidic palate. Funky and sweaty and rice driven, it finishes dry and somewhat cleaner than expected. 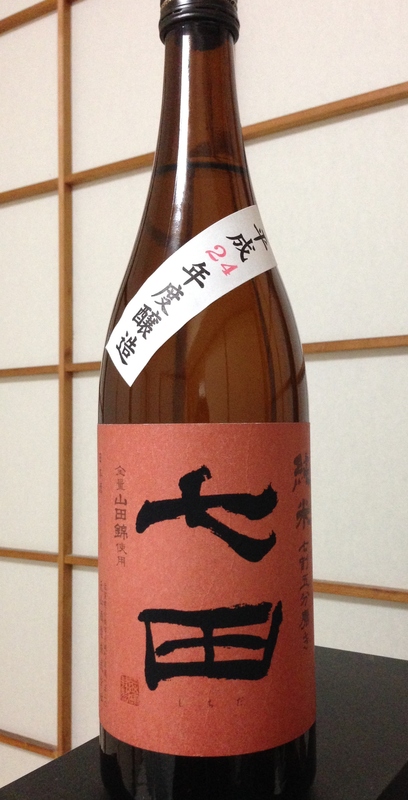 A truly impressive and memorable sake.